Today's featured product - Facebook Ads. Available at: https://t.co/C3D93fjvBX. Today's featured product - Google Ads mit Heinz Duschanek. Available at: https://t.co/IrilANBeWQ. Today's featured product - Digital Marketing Manager. Available at: https://t.co/ex5dNFsd1z. Today's featured product - Digital Office Manager - berufsbegleitend. Available at: https://t.co/6g34jMuCcv. Creators with a purpose will save social media. That's why I’m betting big on them. Today's featured product - Email Marketing. Available at: https://t.co/IGTZP6rImA. Today's featured product - Create! CONTENT. Available at: https://t.co/mC6W9CBc3Y. Wiener Linien Aprilscherz oder Realität? Today's featured product - Google Analytics. Available at: https://t.co/2dNrdkMpgV. Today's featured product - Google Pro Seminar. Available at: https://t.co/uYi0oyHht8. I always go for a HAPPY END....would prefer a happy ending! It's always just ONE STEP towards happiness!! Juhuu! Vielen lieben Dank. Ich freue mich wirklich sehr! 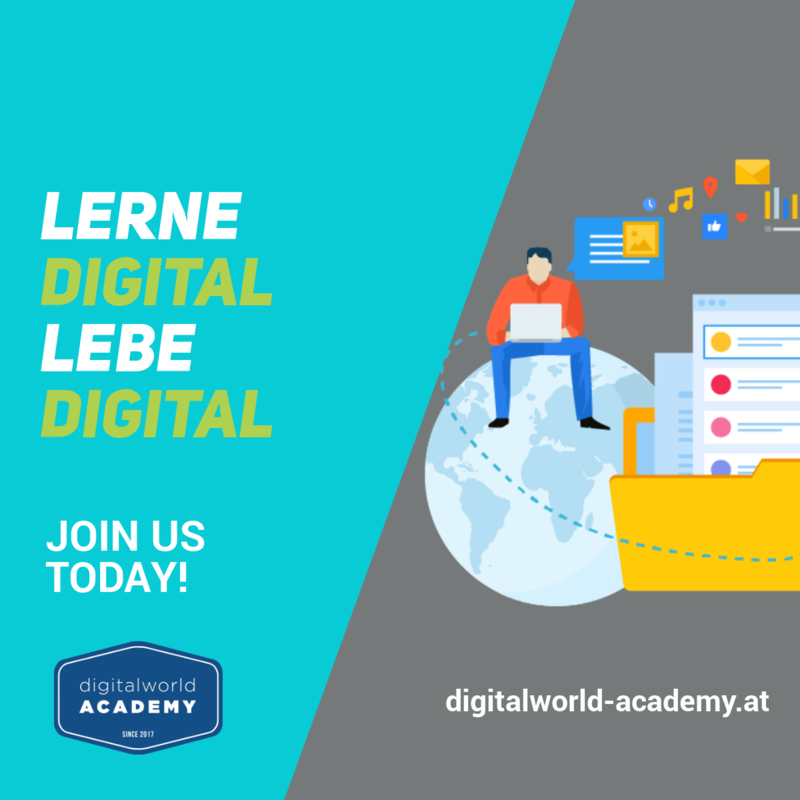 digitalworld Academy j´hallo lisa, hallo daniela 🙂Huhu, Hallo!